On the 15th of August 2005, Israel embarked on a journey that changed it geographically, politically and historically. Though lasting only 10 days, Israel’s disengagement from the Jewish settlements in the Gaza Strip and the northern West Bank, marked a watershed event in the country’s history. Mass demonstrations and bitter political battles deepened the bold division which cut through the social, political and economic strata of Israeli society, leaving many homeless and many more reeling from the traumatic event. 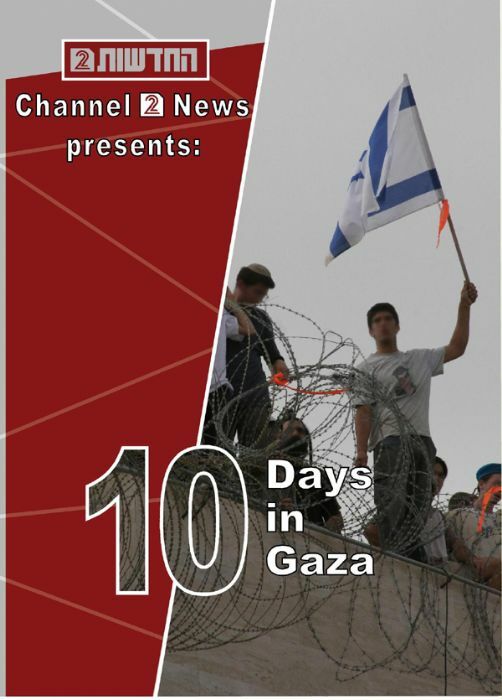 Throughout the ten days of disengagement, Israel’s leading Channel 2 News covered breaking events with 18 correspondents streaming live reports from all the settlements across the coastal territory. 10 Days in Gaza begins with the military closure of the Gaza Strip to civilian traffic, continues with the morning when the evacuation forces marched into the 21 settlements, and ends with the last soldier that closed the Gaza's gates behind him, ending 38 years of Israeli occupation.